This page was created on November 5, 2001. Below you will find what transpired with ISO when a representative was here in our Fire District. I hope the information will be useful for those of you that may be thinking about doing the same. ISO announces a new rating system effective July 1, 2014. It is a PDF file, so it will either open in your PDF software or another window in your browser. ISO Representative John Shipman arrived at our administration offices located at station 1. The main focus for the day was to determine the changes in the hydrant system for the fire district since the last evaluation in 1993. Genesee County Water & the Swartz Creek Department of Public Services (DPS) was contacted to receive authorization to flow hydrants. Hydrant flowing is done to establish flow area in various areas. The locations that are picked are determined by ISO after analyzing maps & other resources available associated with the water main & flow requirements of the district. A meeting between Shipman/ISO, City Manager Museus, DPS Director Svreck & myself was set up for 1300, to discuss the odd/even water ban & our ability to flow hydrants in the City of Swartz Creek. Shipman arrived at mid-morning to continue his analysis of the hydrant system of our district. The meeting was held and the conclusion was the hydrants would be testing in the city limits at a later date. Shortly before 1400, FF Kimbrue, FF Urbanik (both on E12), Shipman & myself left to start flowing/testing hydrants within Clayton Township. 6 hydrants were tested in various locations. When concluded, Shipman was escorted around Clayton Township to get an overview of locations that would require high than normal water flows due to the size and/or complexity of the buildings. We returned to station 1 at 1640. At 1800, the tankers that were previously timed for dumping & filling had arrived at station 1. A short briefing was held in the conference to advise everyone that each unit would dump & be filled at least once. This would be done at the same location as previously. Everyone proceeded to the destination locations with the dumping be performed first. Once completed, E12 picked up the portable water tank & proceeded to set up at the hydrant location. With the fill times completed, the tankers were fueled and all the SCAFD units prepared to be evaluated to deploy water, flowing a minimum of 250 GPM within 5 minutes and continue until Shipman indicated that he was satisfied with our performance. Crews were assigned to the participating units and the timing started 200' from the position 21 was to take. Water started to flow within 3 minutes and was recorded to be flowing 400+ GPM at first, but then reduced to 350 GPM. Tanker 23 connected to 21. E11 set up draft. E12 dropped the portable tank & then stretched 200' of 4" to tanker 23. Hydrant water was used to fill the portable tank. When finished, Shipman congratulated the remain personnel on their professionalism. When asked what he thought the outcome of their efforts would result in, he indicated that it looked good, but the remain paperwork analysis, along with the flowing of city hydrants, would be the deciding factor. The day was concluded between 2100 & 2130, depending on the station units placement back in service. Shipman indicated that he would return on Wednesday, August 22, in the morning to continue the evaluation of our books. for providing the needed tankers that may eventually make our ISO rating better for the locations without hydrants in our fire district. A special thanks to FF Todd Kimbrue & FF Barb Urbanik for help with the water flow in Clayton Township. A to the personnel that participated in the dump, fill & deployment, which includes, FF Joe Barr, FF Brendt Cole, FF Mike George, FF Dave Jones, FF Todd Kimbrue, Battalion Chief Jack King, Captain Steve Tabit & FF Barb Urbanik for a job well done! 2. Total road and street miles within our fire district with distinctions between paved & unpaved was received from both municipalities. 3. Provide pages from our map book indicating hydrants in Clayton Township. 1. Pump certificates (that could be found) were copied. 2. Continued to provide information on site specific locations. 3. Verified each engines inventory of equipment & hose previously provided. This meant a visit to each station was done. While there, pictures of each station were taken. Due to previous commitments, the next return was set for Tuesday, August 28. A call was received from ISO advising that John Shipman is once again ill and unable to keep the appointment that was scheduled. It is unknown as to the length of time that John will be back. The caller was advised that it was preferred that John be able to pick up where he left off as soon as he is able. On Sept. 18, due to the amount of time, a message has been left to determine the finalization of the evaluation. On October 2, John Shipman called to let me know he is recovering and will be back at it soon. A date of October 23 has been set up for a return visit. It's good to know you are feeling better John! Contact on October 23: Unfortunately, John has once again taken ill. Contact has been made requesting an alternate ISO Representative come to take readings on the flow test of hydrants within Swartz Creek before the end of October, as the SC-DPS wants to flush & pump the hydrants before then. October 29: Roger Wesch called to set up Oct. 30, starting at 0900, to flow test the hydrants in Swartz Creek. Roger Wesch showed up at 0900 to start the testing with in the city. After 14 individual tests, the testing concluded at approximately 1430. Thanks to Barb Urbanik & Brendt "Jr" Cole to sticking it out. Because of other commitments, no breaks were taken except to move from one location to another. On December 10, email contact was made with Roger Wesch. December 12, 1000, was set up to review our training records. Roger Wesch arrived at our station 1 at 1000. Records that were reviewed included FFTC Officer level certification for all SCAFD Officers, Pre-Fire Survey files, and hose testing records. After a break for lunch, a trip was made to the Genesee County 911 Center. There Roger extensively reviewed the dispatching protocols for the SCAFD including automatic mutual aid, as well the back up systems in place. At the conclusion, Roger indicated that we wouldn't be aware of the outcome until the second quarter of 2002 with any rate change not taking effect until July 2002. Rating changes are done on a quarterly basis. With the illness of John Shipman, reviews have been back logged, thus causing the delay in our final evaluation determination. John Shipman is expected to return from sick leave after January 1. With the appreciated help from Roger Wesch, and the final paperwork review from John, we hope the rating for the fire district will be improved over all. Only time will tell the tale! A reply to a February 18 email from Roger Wesch advised him of the status of Engine 22 (located at station 3) had passed pump testing and was in full service. In addition, the AMA information with Venice Township was provided in a hope that it will be included in the ISO rating pending. Information regarding the number of structure fires & units that responded was requested by Roger Wesch for 2001. The information was faxed. I was advised by Roger Wesch and the information I provided needed to include the number of personnel that where ultimately on scene. I filled out the form again, this time including the numbers requested. In addition, Mr. Wesch advised that the pending Venice Township AMA is going to be included in our evaluation. Mr. Wesch advised via email that he felt that both communities will be please with the anticipated rating, but could not reveal the number at this time. How are things chief? The results have made our list which will be effective July 1. The city and township should get the results sent to them anytime from now until then. So you should be hearing something in the near future and trust you will be pleased. If you need anything else, please let John or me know. Thanks again for all your help and patience during the grading process. FYI. 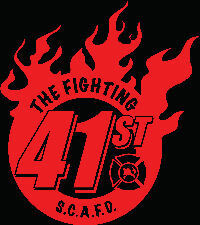 The Chicago Processing Center has been advised to send copies of the letters to the SCAFD fire board chairperson. An email was sent to Roger Wesch requesting a status of the rating notification to be sent to the individual municipalities. An email was received from Roger Wesch advising that there are some administrative items were still being completed and then the letters should be getting mailed within the next few weeks. A review of a June 20, 2002, letter received from ISO generated questions about the classification that was determined. John Shipman was contacted, of which he advised that he would investigate the situation and contact me with the actually classification we have been rated for. John Shipman left a message on our answering machine indicated that the fire district rating is now 5/10. This means all the district is a 5, except those area that do not have a fire station with in 5 miles. An email was sent to John this AM to try & determine the area's that are a 10. In addition, it was requested that some time in the future, it could be explained as to what could be done to improve the numbers associated with various categories that determined the rating. Received an email from John Shipman advising that it has become ISO's policy to indicate a rating of "10" for those locations that are not serviced by a fire station within 5 miles, as the vehicle drives. Brent. There have always been Class 10 areas in Clayton Township. Our current Classification Manual only allows us to show 2 classes, therefore, when we have situations like that in Clayton Township where there were actually 3 classes (6/9/10) we only published the first two (6/9). The manual rules always have indicated that Class 10 applies (see the attached copy of the rules page applicable at the time of the last grading). With the new grading only 2 classes now apply (5/10). The Class 9 areas have now improved to Class 5 without regard to the hydrant distance rules. In addition, the portion of the village of Lennon protected by your department (the part in Genesee County) has improved from Class 9 to Class 5. Unfortunately our new corporate letter structure no longer explains the variations or rules that may apply in these types of situations. Previously our letters normally explained the Classes and areas that were affected. Perhaps the department or the township may have copies of our letters sent after the 1993 grading which may help shed some light on the situation. You can locate these areas yourself by using the township street map and mark the 5 road mile running distance from your 3 station as well as the Flushing station. Make sure you use road distance, as the apparatus must drive, not as the "crow flies". The result will be irregular shaped polygons and not circles. From this you will see those areas that are more than 5 road miles, or Class 10. As I remember, all of the southern half is within 5 miles and the only areas that are over 5 miles are small pockets in the northeastern, northern and northwestern sections of the township. I hope that this will be of further help in clearing up this situation. Received a request to update ISO's records, using a "Fire Protection Survey" form. 4 pages were completed, and maps were updated to reflect the closure of Station 3. Received a letter from ISO for updates. We later received a letter indicating our ISO classification is still a 5. Received a letter from ISO for updates. The survey form returned in October 2004 was included. This survey form didn't include the same questions as in 2004. Most of the information was filled out. Response times are to be provided. Received a letter from ISO for updates. The packet included 3 area maps (Clayton Township, Lennon east of M-13 & Swartz Creek). In the letter, it indicated to contact them via email if no changes were indicated. That email was sent the same day as the letter was received, since no changes have taken place. For ISO information please visit their web site by CLICKING HERE!